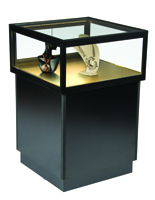 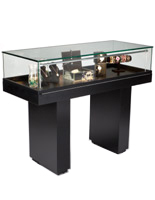 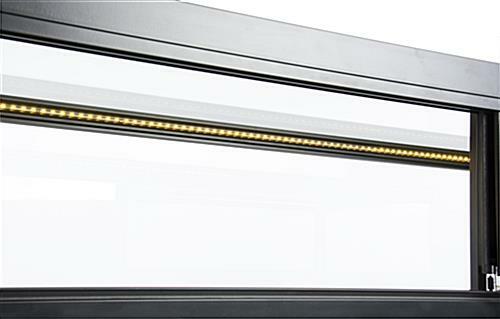 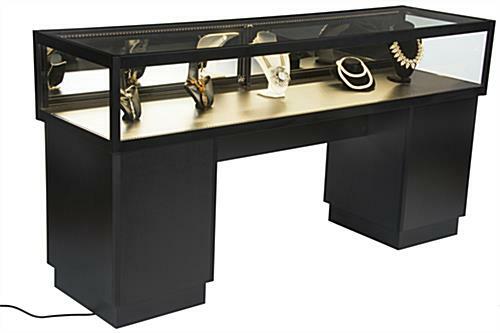 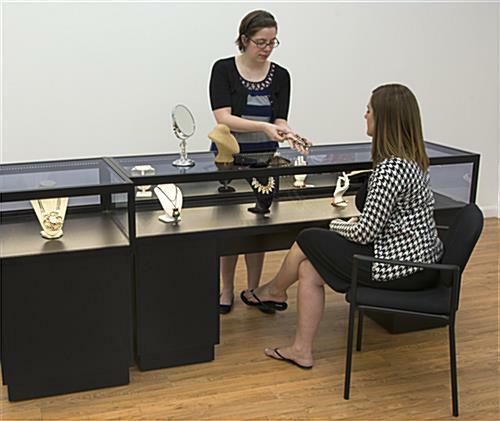 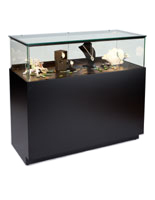 These black jewelry display cases make great showcases for merchandise because of their bright LED lighting. 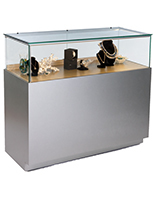 Each store fixture is made of durable aluminum with tempered glass for easily seeing waresa on display. 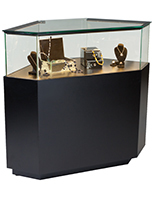 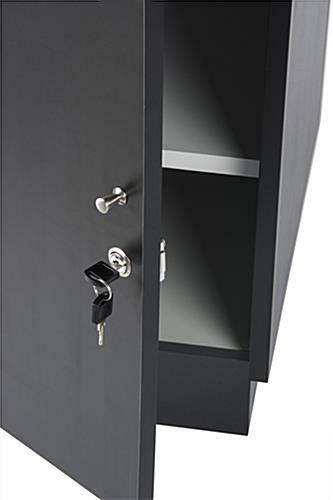 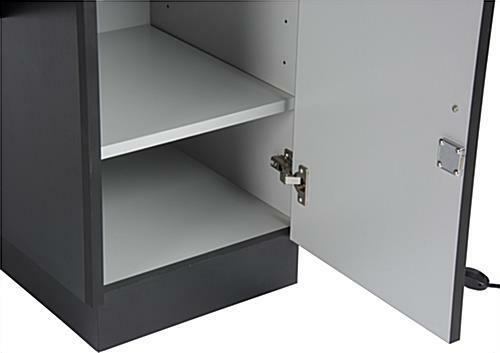 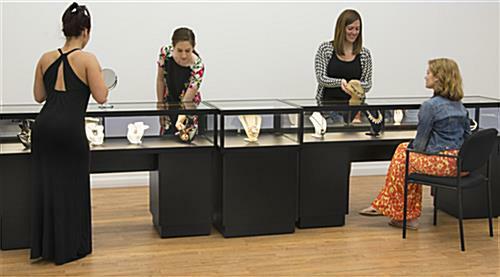 The jewelry display cases' counter design features (2) supports, each with a locking storage cabinet that keeps supplies out of sight. 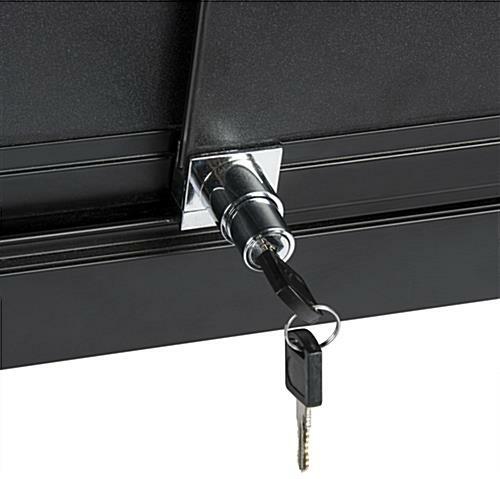 For accessing merchandise in the glass showcase, there are sliding mirror doors with a lock for extra security. 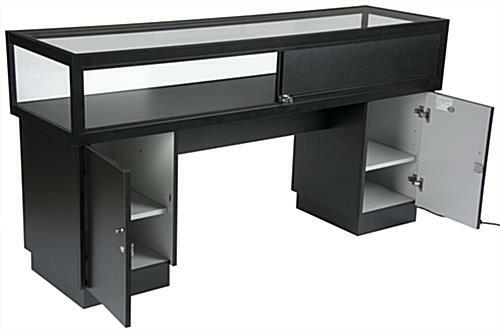 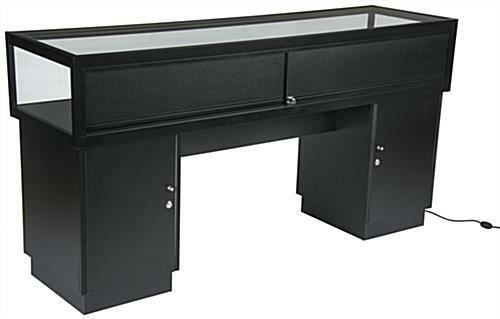 The display cases come with a 78.8" long power cord, making the counters great for placement on a wall or in the center of a room. 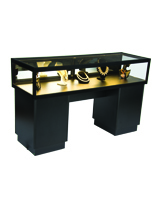 The store fixtures are sent fully assembled to save on shipping costs. 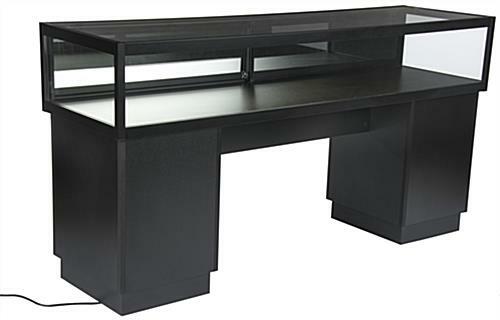 70.0" x 37.0" x 17.5"
14.0" x 0.75" x 16.0"
68.0" x 25.0" x 18.8"
68.0" x 9.0" x 18.8"
70.0" x 12.0" x 20.0"